Conveniently located in Grosvenor Park Centre which is wheelchair accessible and has plenty of free parking. 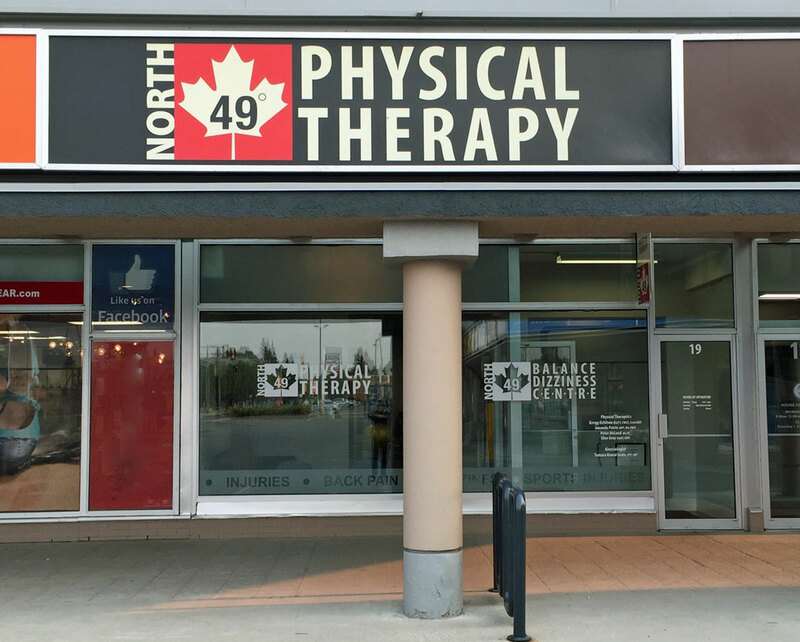 Welcome to North 49 Physical Therapy! We are a locally owned clinic offering physiotherapy in Saskatoon. What sets us apart? Personalized quality care. We treat our patients with compassion to promote physical rehabilitation with the goal of helping you restore movement and function, in an environment that emphasizes wellness and caring. Physiotherapy is a study of the science of movement, focus on both prevention and rehabilitation. We work hard to pinpoint an injury’s root causes, to restore movement and function through physical, hands on methods and therapeutic exercises. Our team of experienced physiotherapists have extensive training in a variety of specializations, including kinesiology, vestibular therapy, occupational therapy, neurology, sports medicine, and more. Learn more about physiotherapy / physical therapy. Our goal is to get you feeling and moving better and back to your normal functions whether at work, at play or just day to day! You can be assured you are in good hands at North 49 Physical Therapy. At North 49 Physical Therapy in Saskatoon we put you at the centre of your recovery. Your session will be unique, because it is all about you and your particular needs. Our skilled physiotherapists will perform an assessment of your condition, provide hands on treatment, and develop a customized treatment program including therapeutic exercise prescription. We will educate and empower you to be an active participant in your health, to achieve results. Our clients are of all ages, any activity level and all walks of life. Whether you’re a focused athlete, a novice exerciser, suffer from chronic pain, or need assistance in recovering from injury or surgery, we’re here for all that moves you. We offer a diversity of physiotherapy rehabilitation services for sports injuries, pre and post surgery, work related injuries, back, neck, TMD/TMJ and headache pain, motor vehicle injuries, dizziness and pre & post joint replacement. Rest assured that whatever ails you, we have the expert care and the qualified therapist at your service. Prepare for your visit.